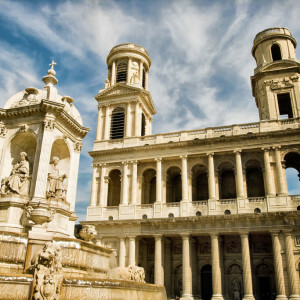 Over the course of this two-hour Left Bank Paris tour, we’ll learn the ins and outs of Paris’ Left Bank, or Rive Gauche. 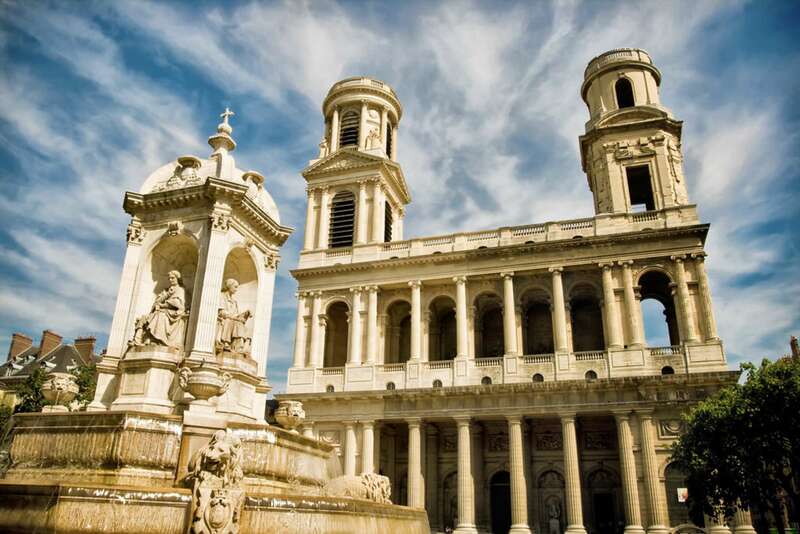 Guided by a local insider, we'll explore the bohemian cafes, narrow cobblestoned streets and medieval churches that give this famous quartier its appeal. 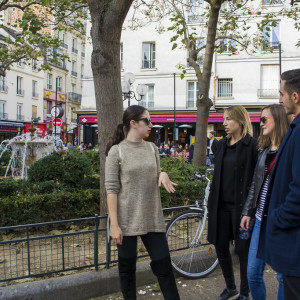 As part of our walk, we’ll head to some of the area's most important sites and monuments, and wander down some of the hidden side streets to get a feel for the atmosphere and narrative of Saint-Germain and the Latin Quarter. 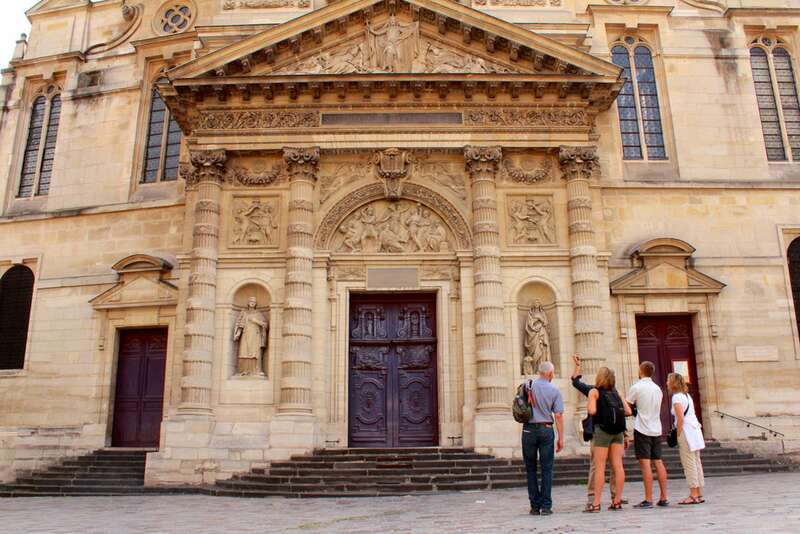 We’ll start our walk in front of the Saint-Germain-des-Prés church, which barely survived the destructive acts of the 18th-century revolutionaries. 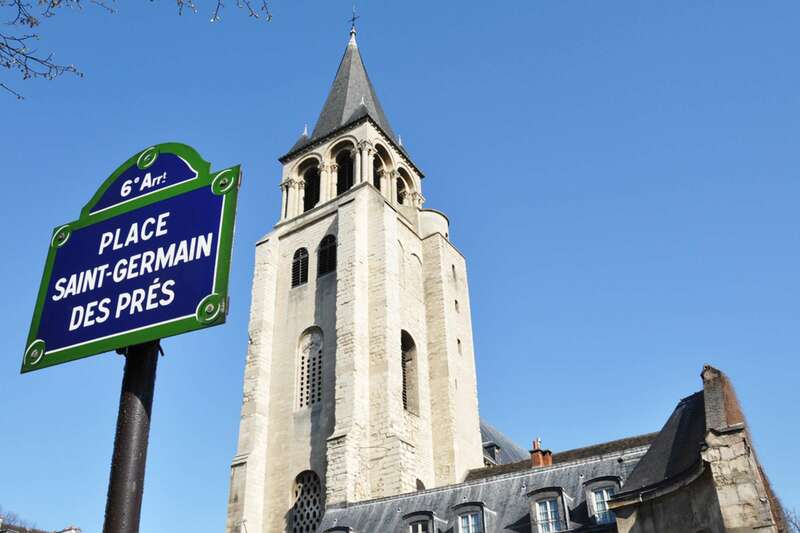 One of the oldest churches in Paris, Saint-Germain-des-Prés makes for an excellent introduction to the area's religious character. 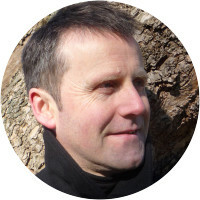 While here, we’ll also delve into the unusual history and diverse identity of the Left Bank, from its time as a Roman settlement 2,000 years ago to a scholarly enclave steeped in intellectualism starting in the 12th century. We’ll also discuss how Left Bank fostered a growing and lively bohemian community, starting in the 1920s and 30s. We’ll focus specifically on cafés of the Left Bank, the hub of intellectual life, which were home to some of the most beloved artists, writers and philosophers of the 20th century. 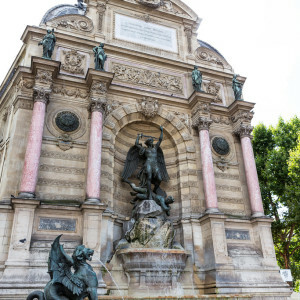 (To go more in-depth, try our Paris Literary Tour.) Next we’ll continue down some of the back streets and head to a variety of sites, depending on the group's interests or the guide’s areas of expertise. 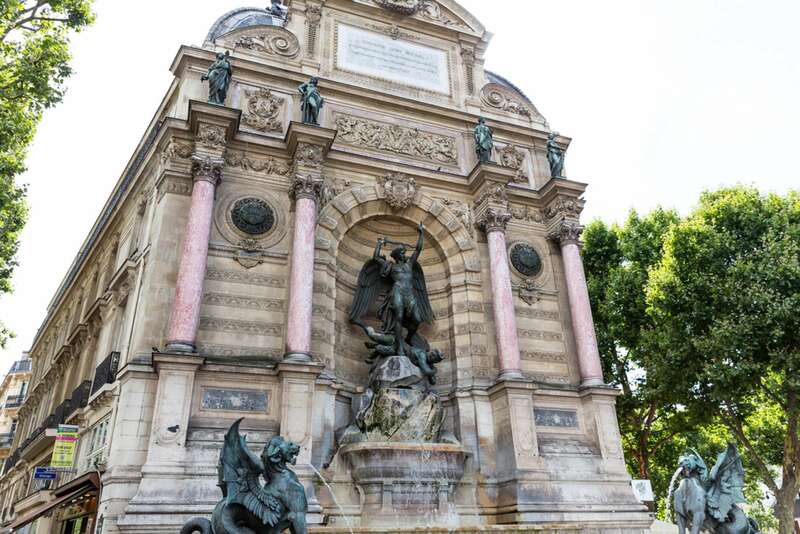 After traversing parts of the Latin Quarter we will finish our stroll around the popular Place Saint-Michel, a convenient place to stop and have a drink or hop on the métro, hopefully equipped with a greater understanding of the city as a whole. 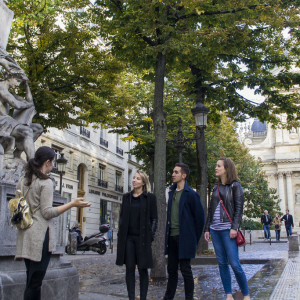 This tour is a a perfect complement to our two-hour Right Bank Paris Walking Tour walk, though less in-depth than some of our other Paris walking tours. 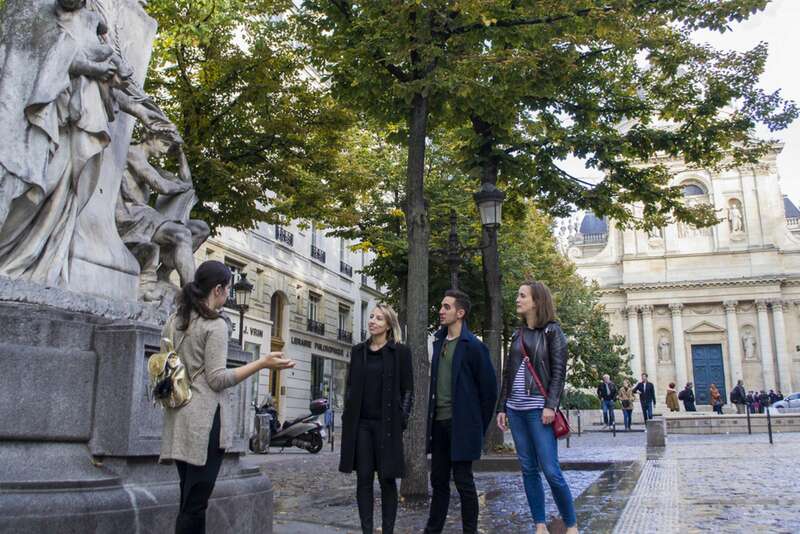 It aims to acquaint visitors to the city and provide an excellent overview and foundation for further explorations of Paris. 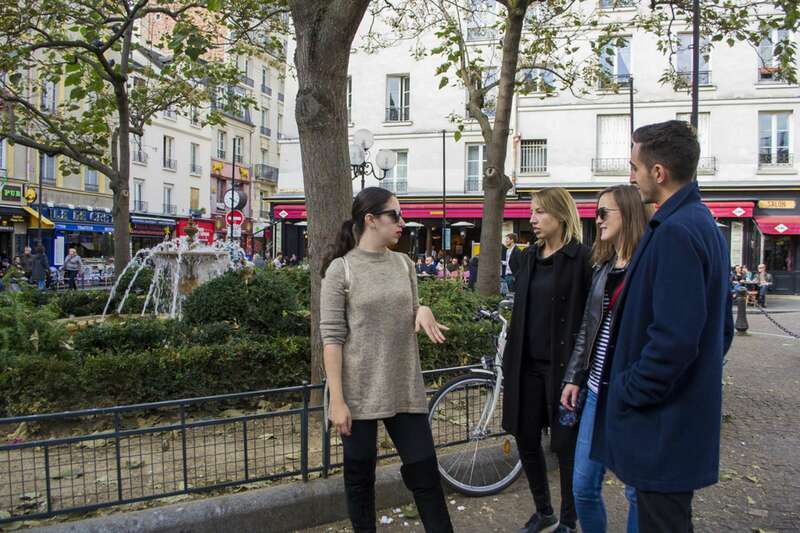 First-time visitors may also find useful our practical Welcome To Paris orientation to the city, during which we answer questions about navigating the city's transport system, point out the best and most typical local establishments, and offer a basic language lesson, among other things. 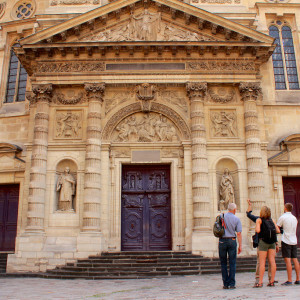 When would you recommend we schedule the Left Bank orientation walk? 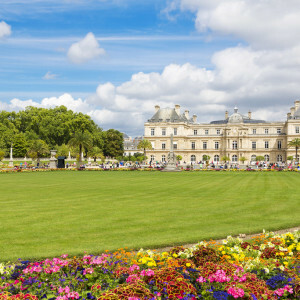 We find this seminar is best scheduled at the beginning of your stay so that we can acquaint you with and provide a solid foundation for further explorations of Paris. The route may include small hills, narrow sidewalks and cobblestoned streets. Please contact us to discuss in more detail your mobility so that we can best advise. 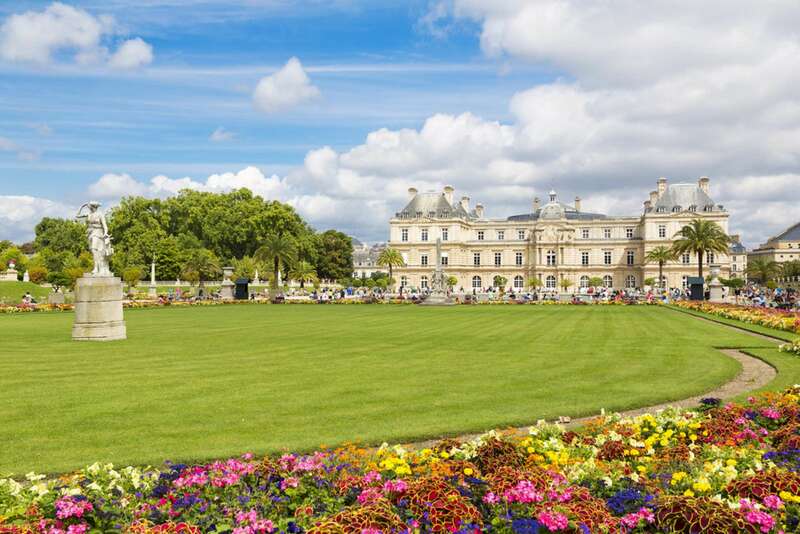 You might also look at our Paris by Riverboat tour, an orientation that is done partially seated and is wheelchair-accessible. 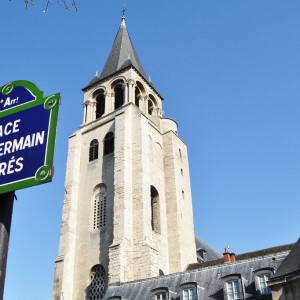 Generally speaking, the walk begins near Église Saint-Germain-des-Prés in the 6th arrondissement of Paris and stays in a compact area in the neighborhood. Your confirmation email will have the exact meeting point details along with a map, and 24/7 phone number. Tours operate rain or shine, but in the case of inclement weather, your guide will modify the tour so more time is spent indoors. It never hurts to have an umbrella on hand. Yes! We have some excellent family friendly guides who can appeal to the learning styles of children. Please book privately if you have children under 13. Feel free to provide us with information about your children such as favorite school subjects, and hobbies. This way we can match you with the best possible guide. 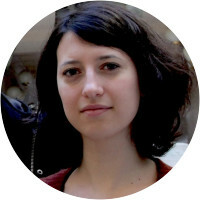 Originally from Canada, Lily Heise is a freelance travel writer who has been living in Paris since 2000. She holds a Fine Arts Degree from the University of Guelph and has extensive experience in tourism and culture having worked for several French universities, museums, cultural sites and previously in the office of Context Travel. 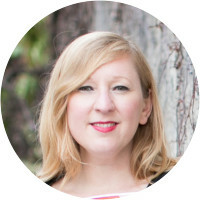 Her writing has been featured on the Huffington Post, Business Insider, CondeNastTraveler.com, Frommer's print guides and online, DK Eyewitness, Fodor's and others. She is also the author of two books on looking for romance in Paris and runs an award-winning blog on Paris, travel and romance, <a href="https://www.jetaimemeneither.com">Je T'Aime, Me Neither</a>. Rebecca was great--very knowledgeable, interesting and enthusiastic! I'm a travel agent and have had numerous guides over the years. Benjamin was one of the best! He is extremely knowledgeable and his passion for Paris is evident. He loves his job and it shows!